Rukky Sanda is a popular Nigerian actress, director and movie producer, she came into the movie industry in year 2004 while in school and has remained relevant since then. 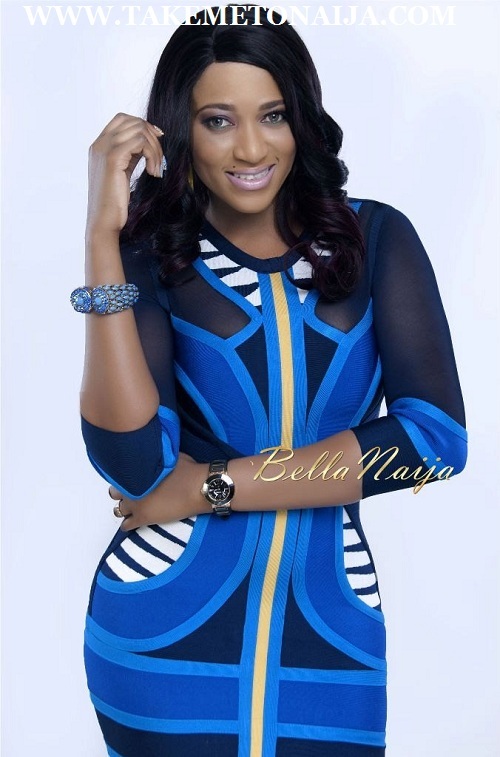 Rukky is considered as one of the youngest script-writers and film makers in Nigeria. She was born Rukayat Akinsanya and has lived in Lagos most of her life. She is her father’s 10th child but the last child in the family and she has two step mothers. After graduating at the Lagos State University in 2004 with a B.SC Degree in Banking & Finance, the beautiful actress began her journey in Nollywood as an actress, to an independent film producer, scriptwriter. According to her, her attraction to movie then and now is not the same thing. At the beginning, she met her sister’s friend who used to work in a production company. She was in LASU and school was on strike so she just told her she wanted to act, her friend said let’s go, so they went. They shot the movie overnight and it was too stressful and she said she’s not doing again, that was in 2004. She lost interest and she didn’t act again till 2007. “But it is different now because i actually love the art of production and creating something. It’s actually more fun for me now because now I know I have a job. I can say this is what I do, I make films.” She said in her words. Before she started acting, she knew most people in the industry. When she was in school, she used to travel and buy clothes, shoes and accessories to sell. She said she has even sold a TV before. The TV was on sale for about $700 and she brought it into the country to come and sell. Speaking on doing business while in school she mentioned her dad gave her N500,000 when she was in her second year in the University. She told her dad she wanted to travel and start buying things to sell, so instead of going for holidays just like that, she’d come in with goods to sell. With benefit of hindsight, what past mistake or action will you love to correct? Anything we do in life, we learn from it. I remember when I finished secondary school, what I wanted was to travel to America. But my dad refused. I was already in LASU, I had two very close friends of which one was in LASU; they travelled to America so I also told my dad I wanted to travel to America. My father did not even answer me until I threatened that I would not go to school again if I didn’t go to America. Yet my dad never agreed. I think it’s something I would have regretted. How long did it take you to get into the university? That was like immediately, most of us in my family wrote JAMB twice starting from SS 2 and then SS 3, it was like a preparation. My first admission was in UNILAG where I was studying English because Unilag resumed first, but I wanted to study Banking and Finance which I had the chance to do in LASU. I went to Lagos State Model College. That’s the same school Funke Akindele went to, her dad was the principal at the time but we didn’t know each other then. The actress began her journey in Nollywood as an actress, to an independent film producer, scriptwriter. Rukky Sanda now owns her production company, RSP (Rukky Sanda Productions) and RukkySandaStudios, in Lagos State, where filmmakers could rent up-to-date equipment, as well as an editing studio for post production. Often referred to as one of the most controversial actresses in Nollywood, Rukky Sanda pays no attention to the rumors and stories, as she concentrates on carving her own unique niche in Nollywood. Sanda has starred in over 42 movies in Africa since her debut in 2004. She could be called the youngest scriptwriter/producer in Nollywood. She has written and produced such movies as “Lethal Woman” (2008), “Obscure Motives” (2009), “LOVELORN” (2012), “MIAMI HEAT” (2012), and “Keeping My Man” (2013). Rukky Sanda considers marriage a very beautiful thing. When it comes to relationships, Rukky Sanda believes love should not discriminate against a person’s religion. The first time she dated a male was in S.S.S 1 and this ended up being her first boyfriend. Her first real relationship was in the university and this happened in 1999 and she is usually quick to add that it didn’t work out. She was romantically linked to American singer Akon in 2007. Rukky Sanda does not believe in the practicality of ‘love at first sight’. Sometime in 2014, Rukky Sanda was rumoured to have been in a sexual relationship with Tonto Dike.She reacted to this. the one they’ve not yet said. body and as long as it’s what I want, it’s nobody’s business.